Companies who know how to protect their reputation in the social era will earn and keep the best talent. Note: An updated version of this report is available here. 38 percent of respondents who were once fired or laid off had left negative reviews of former employers on a review site, social media, or with a personal or professional contact. The 52 percent majority of candidates first seek out a company's sites and social media to learn more about an employer. What do your employees say about you? Participants in the study included more than 1,300 job seekers and 218 HR and talent acquisition professionals. 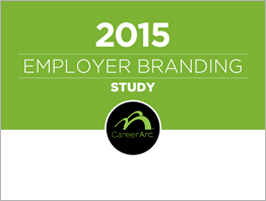 Complete the form to access the 2015 Employer Branding Study.